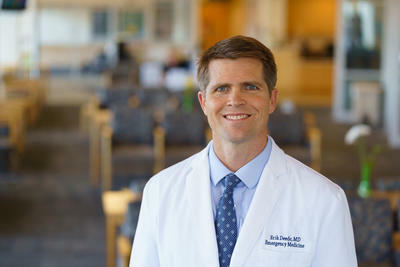 Erik P. Deede, MD, named Chief of Emergency Medicine for Good Samaritan Medical Center. 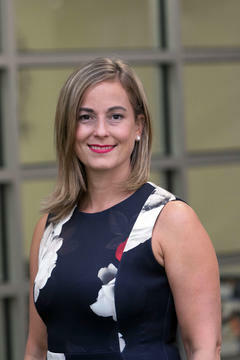 Dr. Deede has over 17 years of experience as an Emergency Physician. He joined Good Samaritan Medical Center as Associate Chief of Emergency Medicine in 2017. He was previously an attending emergency physician and Clinical Director of Quality at St. Elizabeth’s Medical Center. Board Certified in Emergency Medicine, Advanced Cardiac Life Support, and Pediatric Advanced Life Support, he earned his medical degree at Baylor College of Medicine, Houston, TX and completed the Harvard Affiliated Emergency Medicine Residency at Beth Israel Deaconess Medical Center, Boston, MA. Dr. Deede has been extensively published and has lectured on several topics related to emergency medicine including a “Signs and Symptoms Series” on Back Injury, Chemical Injury, Head Trauma, Jaundice, and Infection as well as numerous presentations to members of the medical community on Chest Pain and Acute Cardiac Emergencies, Abdominal Pain in Pediatrics, Vascular Procedures, and Sepsis: Improving Outcomes and Implementing Codes. “We congratulate Dr. Deede on his new appointment as he has been an integral member of emergency medicine team,” said Harrison Bane, President of Good Samaritan Medical Center. The Good Samaritan Medical Center Emergency Department is a designated Level III Trauma Center and cares for over 65,000 patients annually.